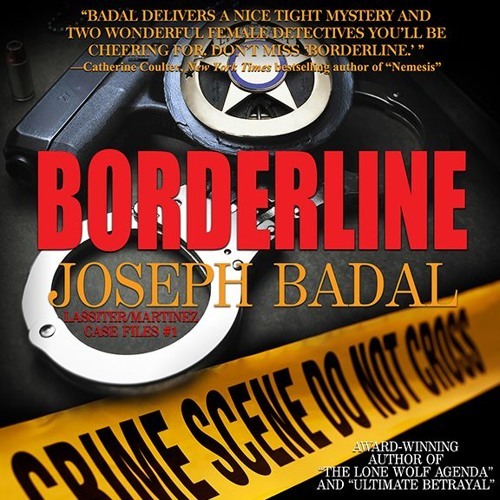 Clips from "Borderline" Barbara Lassiter and Susan Martinez, two New Mexico homicide detectives, are assigned to investigate the murder of a wealthy Albuquerque socialite. They soon discover that the victim, a narcissistic borderline personality, played a lifetime game of destroying people's lives. As a result, the list of suspects in her murder is extensive. The detectives find themselves enmeshed in a helix of possible perpetrators with opportunity, means, and motive - and soon question giving their best efforts to solve the case the more they learn about the victim's hideous past. Their job gets tougher when the victim's psychiatrist is murdered and DVDs turn up that show the doctor had serial sexual relationships with a large number of his female patients, including the murder victim.